DrinkWire is Liquor.com’s showcase for the best articles, recipes and reviews from the web’s top writers and bloggers. 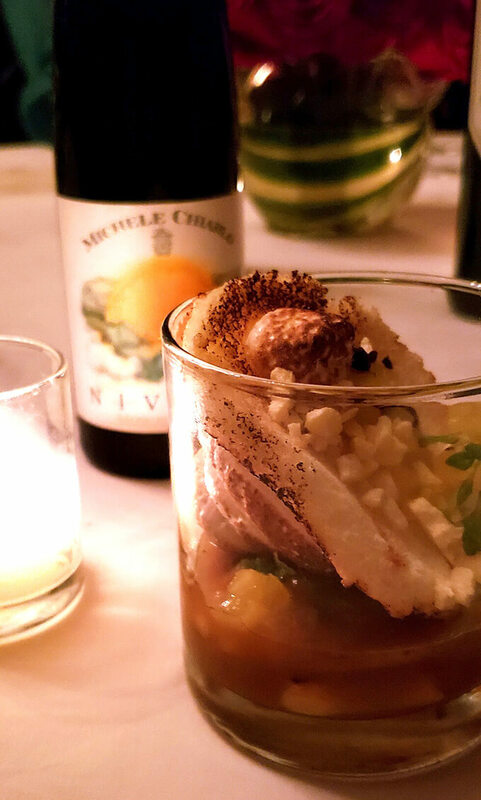 In this post, Creative Culinary offers an old fashioned twist.. 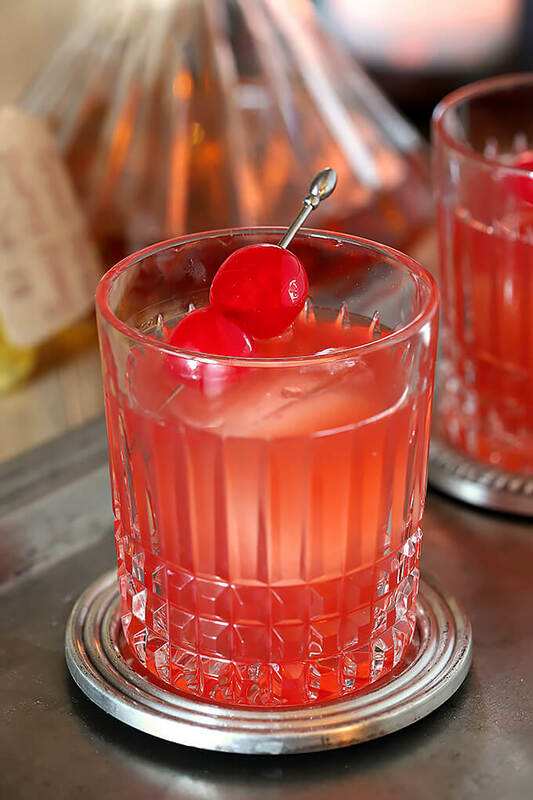 This Bourbon Cherry Old Fashioned Cocktail is great for a holiday party. Cherry jam is muddled and combined with bourbon, lime juice and honey for a delicious winter sipper. I was recently invited to a media event at an establishment in Denver that is one of a few that I would consider venerable. The Brown Palace Hotel and Spa has been a part of the Denver landscape for over one hundred years. Built in 1892, the luxury hotel in Denver, Colorado has been a four-star and Four Diamond hotel since 1977. At the heart of the boutique hotel is the atrium lobby, soaring eight stories above the ground floor and crowned by a beautifully detailed stained-glass skylight. Dramatic Florentine arches surround the atrium, and intricate wrought iron panels decorate six stories of balconies. Our meal was served in the Palace Arms, a beautiful restaurant on the first floor of the hotel. 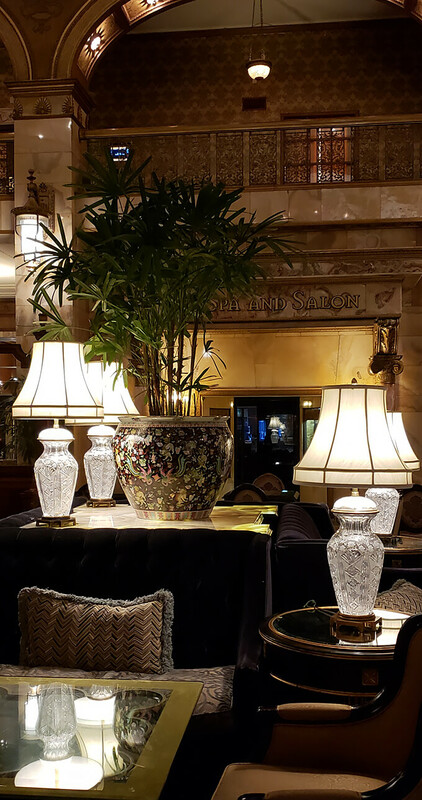 Everything was absolute perfection and I am not surprised; the Brown Palace is known for both attention to detail and a time honored feeling of luxury and our evening there was no exception. Dinner began with a beautiful champagne cocktail and progressed through courses including a Fall Salad, Moulard Duck, Seared Elk Loin and finished with a beautiful and creative Pineapple Upside Down Cake served in a glass; all served with complimentary wines. Our first course was a gorgeous Fall salad combining beets, pistachio, grapes an petite greens accompanied by a 2014 Drouhin Vaudon Chabis. 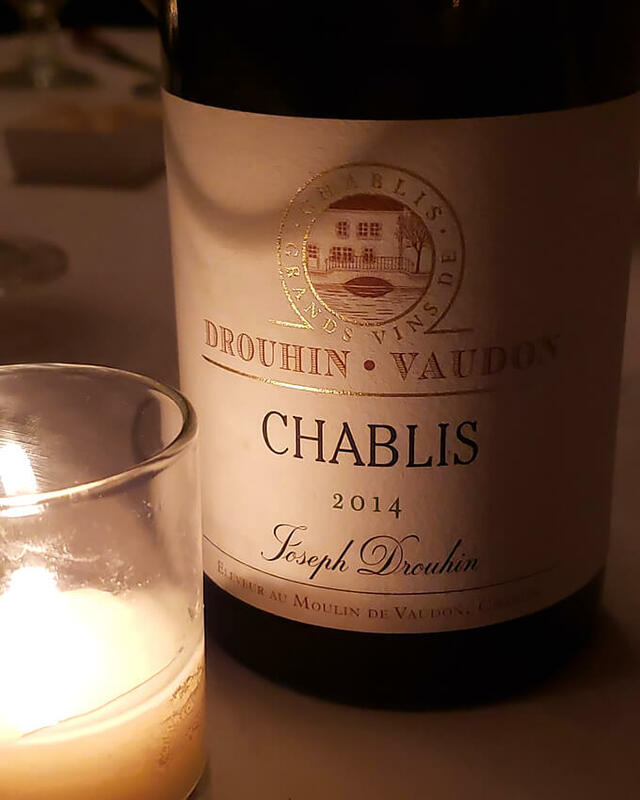 I am unashamedly not a big fan of white wine but I should have known that the Brown Palace would make a pairing that was exquisite and I really enjoyed this wine. 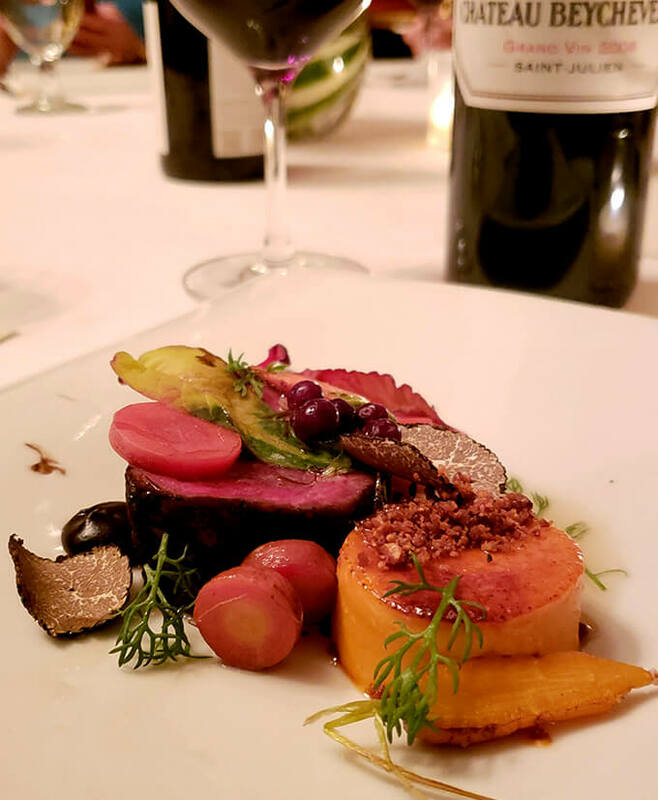 After a second course of Moulard Duck served with smoked pistachio, red cabbage marmalade, apple, and a sweet potato terrine, it was time for the highlight of my evening, this Seared Elk Loin. My neighbor is a game warden and hunter and I’ve had more venison since moving to Castle Rock, Colorado then in all my years previous and I’ve come to appreciate our state’s bounty. One useful tidbit I’ve picked up from Casey is that the gamey taste many might complain about is eradicated if the meat is dressed quickly. This elk was clear evidence of that attention to detail. Served with butternut squash brûlée, beurre noisette, sage, walnuts and preserved berry it was impeccable. Last but not least was this innovative variation of one of my favorites. My guest for this dinner was Casey’s wife so I was reminded that his favorite dessert ever was the Pineapple Upside Down cake that I made for him last year when he won ‘Officer of the Year’ for Colorado Parks and Wildlife. It’s so old fashioned but might be my favorite too so this sweet ending was a real delight for me. It was certainly constructed uniquely with a mixture at the bottom that included caramel, preserved Colorado cherries and a sponge cake all topped with an upside down toasted brown sugar meringue. 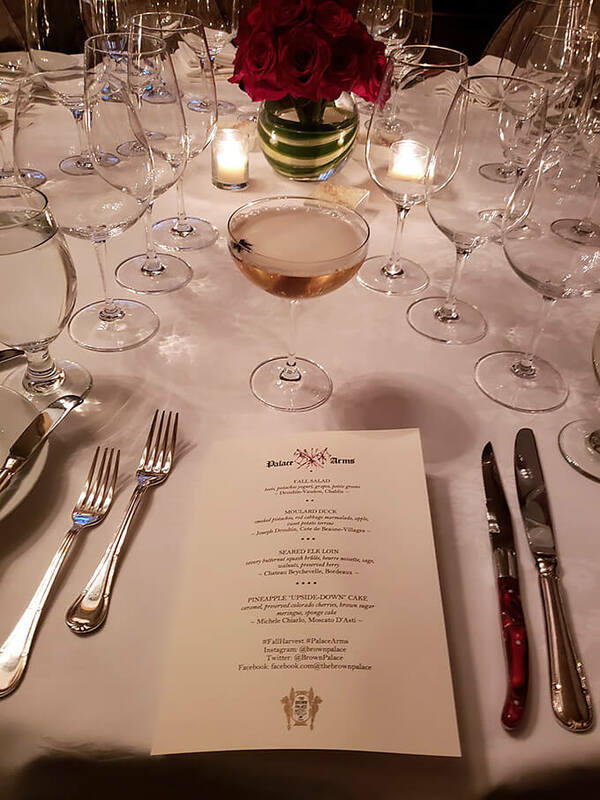 Everything was absolute perfection including our tablemates, one a magazine editor and another the sweetest younger blogger who talks about all things around town. We’re having a girls night out soon at my place; we bonded quickly and want to get together again soon. I’m the booze queen and it’s on me to make them the cocktails. Speaking of which? I would traditionally try to recreate an establishment’s cocktail but this one required a smoke gun and cherry wood chips. While I might have considered venturing into that territory, I knew it would not be something most of you might do so I punted. I kept to some elements of the cocktail which meant including the bourbon, citrus notes and honey, but decided my cherry component would be cherry jam, not cherry smoke. It really was divine too and so festive. The cocktail is mixed in a shaker and then strained so the color is gorgeous but the drink is not encumbered with particles of jam; all the better to showcase my square ice cubes. Using larger ice in cocktails is not just fun; the slower melt keeps them from becoming watered down so quickly. I also love using these maraschino cherries for drinks but was surprised to discover I had actually run out of them and I fell back on the old standard and they really were a pretty accent. Drowning them in the cocktail for a bit made them even tastier. This cocktail is pretty but still very much bourbon forward; it would be a great drink to serve your guests at a holiday party, as a before dinner cocktail or even during a football game. I hope you enjoy one soon…Cheers! 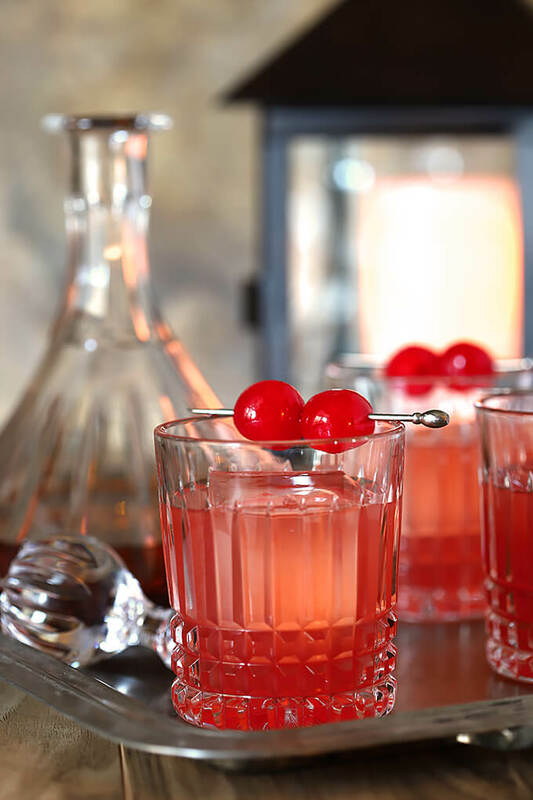 Muddle the cherry jam, lime juice, orange liqueur, and honey in a cocktail shaker or glass jar until the cherries are well mashed and have released their juices. Add the bourbon and fill the shaker with ice. Shake thoroughly to combine and chill. Strain into cocktail glasses filled with ice (or one large ice cube) and garnish with maraschino cherries. 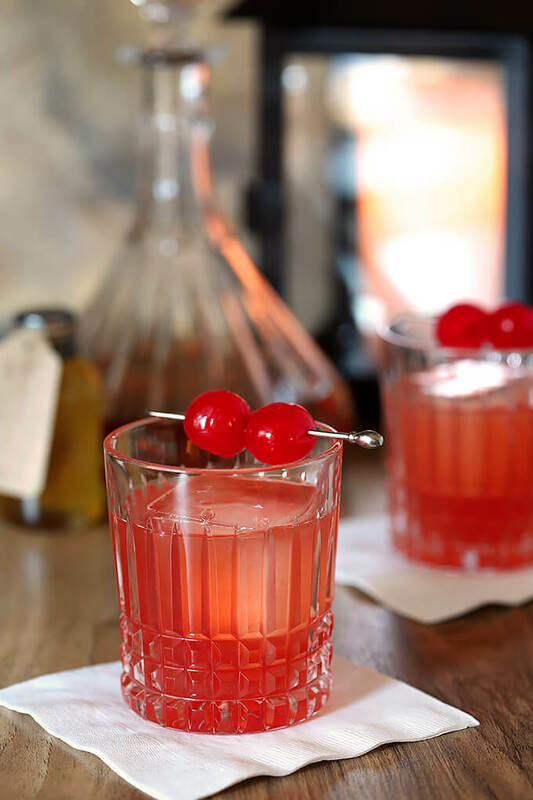 The post Bourbon Cherry Old Fashioned Cocktail appeared first on Creative Culinary.